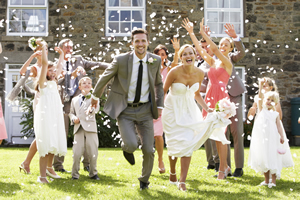 DJ Riz Entertainment provides services for indoor and outdoor wedding ceremonies. We can play anything you want for prelude, entrance and recessional music; from classics to contemporary. 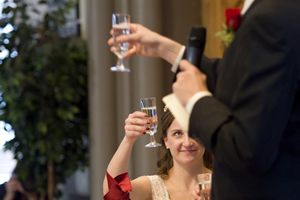 Our team provides a wireless microphone and speakers so everyone can hear the ceremony clearly. 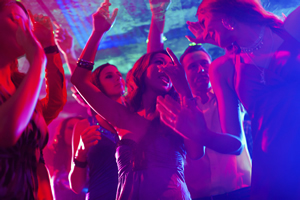 We want to make sure the bride and groom have the best night of their lives. 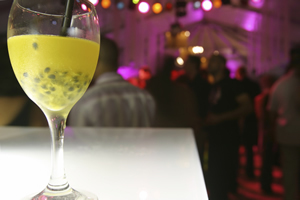 Our team will help guide you through entrance, dinner and dancing music which will be catered to your music preference. Since we can play a wide variety of music, each guest leaves happy no matter if they are grandparents or kids. The DJ Riz Entertainment team puts in a lot of time and effort to make sure we understand who your guests will be and how we can keep them happy. Our MC’s are confident, prepared, and flexible. They have the right energy and tone to get everyone excited without being cheesy. This is achieved by carefully understanding the timeline of events and what the couple wants the mood to be. The DJ Riz Entertainment MC’s are seasoned professional speakers that understand how to make events run smoothly. Along with American weddings, the DJ Riz Entertainment team has a lot of experiences with many different cultural and mix weddings. We have done hundreds of South Asian (couples from India, Pakistan, Nepal, and Bangladesh) weddings including Hindu, Muslim, and Christian ceremonies. We are very familiar with pre and post wedding events such as Sangeet, Mehndhi, Garba, Pithi, Baraat, Wedding, Shaadi, Reception, and Valima. We have done many weddings where the primary languages were Hindi, Urdu, Gujarati, Punjabi, Telugu, Tamil, Malayalam, Marathi, and Bengali. Check out www.djriz.com for more information and details. The DJ Riz Entertainment team has provided services for many different types of corporate events. We can provide services for Holiday Parties, Gala’s, Conferences, Meetings, Product Launches, Picnics, Flash Mobs, Grand Openings, and store promotional events. We have had the pleasure of being a part of numerous celebrity and charity events. Along with DJ services we also provide everything you need in terms of sound, lighting, projectors, and screens. 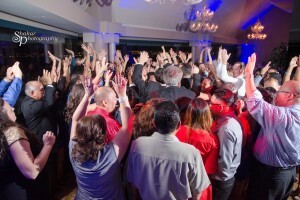 The DJ Riz Entertainment team has a wide variety of DJs, some of who connect perfectly with a young audience. You might have seen or heard them performing at a high school prom, homecoming, themed events, or graduation. If you need someone that is professional, will play appropriate clean music, and has state of the art equipment then you have come to the right place. 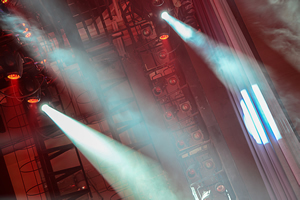 We also offer the best LED lights which are excellent in adding subtle colors to any venue. They help enhance the room with your wedding theme colors. 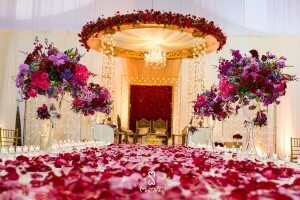 Each ballroom is transformed from just a plain room into a feeling of complete integration with your décor. These lights can change color throughout the night and can be any color you want. The DJ Riz Entertainment team has been a part of wedding receptions across the globe. 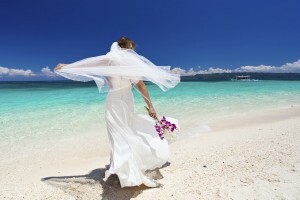 We know what you need to make a destination wedding great. Our team has entertained at weddings in Cancun, Hawaii, Toronto, London, Florida, California and many other places. We are available for worldwide destination weddings. This first dance is a magical moment, even without special effects. 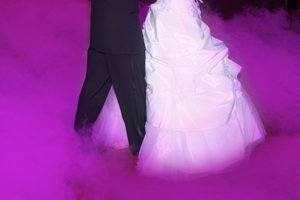 However, for a truly unique and surreal first dance, consider “dancing on the clouds.” The dry ice does not rise above your knees, is odorless and does not leave any substance on the dance floor; adding a stunning visual effect for you and your guests to treasure in photos and videos forever. and help your guests gear up for the spectacular night that awaits them. 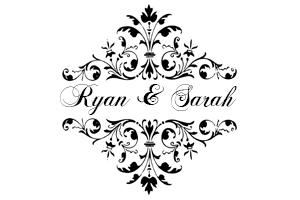 Customize your event with a personalized monogram (gobo) with names, initials or designs. Place it on the ceiling, walls, or even the dance floor. Our monograms are designed to be unique to you and your style. From traditional to modern, monograms can be any customized to your personality and unique vision. Between vintage lettering, custom illustrations and hand-rendered fonts, we have the ability to create truly a one-of-a-kind monogram. Often the DJ is setup as your focal point during the reception and the appearance of the DJ’s equipment is very important. You don’t want to see a bunch of wires and table all night long. The Facade not only hides all these things, but enhances the decor by providing an attractive looking DJ booth. The DJ Riz Entertainment team takes it one step forward by providing uplights behind the DJ Facade to complement your decor. This light is similar to what you see at a professional basketball game. It is truly an intelligent light. This amazing machine works as a moving follow spot light, a stationary spot light, and a really fun dance light. 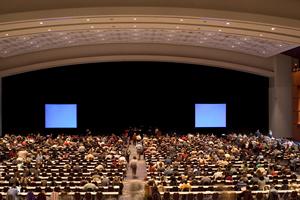 The Moving Spotlight will showcase what you want everyone to see throughout your event. 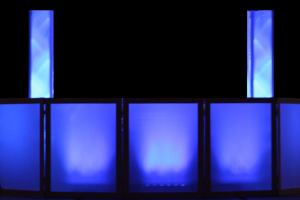 It will follow you in during your entrance, and highlight your first dance, cake cutting, speeches, performances, and act as an intelligent dance light during the end of the night. 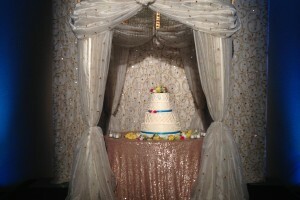 Multi-color lighting and special effects add flair and fun to any celebration, creating an exciting and energetic mood. Effects are operator controlled using an endless combination of lighting scenes and sequences all consisting of various speeds and beautiful color patterns. The lights dance with the music and change color and speed at the perfect time to keep the energy going on the dance floor. 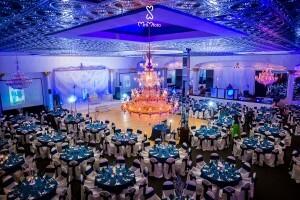 The Stationary Spotlight is meant to highlight something very important during your reception. This may be a stage, backdrop, cake table or anything else you want to illuminate more than the rest of the room. Spotlights help your guest see what you want to show them and helps capture amazing pictures and video.